Most of my paintings are the result of prolonged labour and are subjected to a lot of revision, both compositionally and thematically, even before they take shape on canvas. 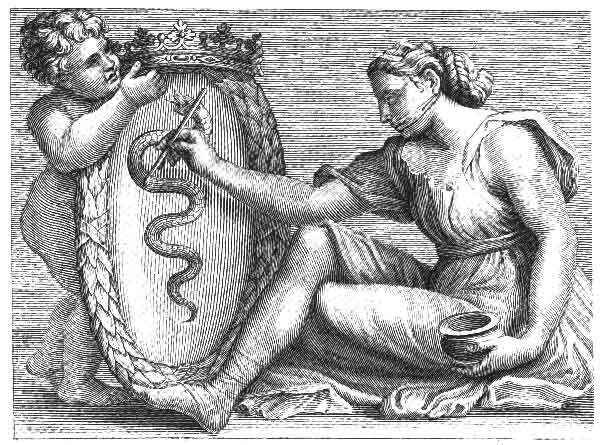 A few are conceived fully-formed at a single stroke; born like Athena straight from the head of Zeus. 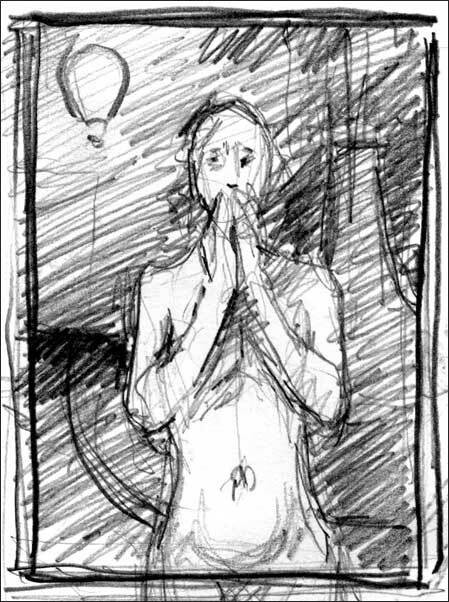 ‘Speechless’ is one of those: every element in the composition was present in the first outline sketch. The subject of the painting harks back to the old idea of painting as muta poesis – mute poetry – often represented as a female figure with her mouth covered or gagged. I’ve long been concerned with meaning in painting and with exploring how much can be communicated non-verbally. In this case, by posing the figure frontally and having her cover her mouth, attention is concentrated on her eyes. Eye-contact is often crucial for us but we rarely depend on it entirely; how much of a burden can it be made to carry? This was what I wanted to find out. The major change in this image during painting was in the background. The tower and balloon were always there but originally the sky was much darker and stormier. However, making the figure the brightest object in the painting amplified the psychological intensity of her stare to the point that it became quite disturbing; she appeared to be the witness of a crime or tragedy – not quite what I intended. (A breakdown of verbal communication may be a crisis but it is not necessarily a disaster: it can also mark an opening where other types of communication become available.) To solve this problem I found that placing her against a brighter, warmer background helped to rebalance the painting, relieving its psychological intensity by inviting the viewer to look beyond her into the picture’s depths. Her inward intensity remains, but the picture as a whole is still an ‘opening’. Why the balloon and tower? It’s hard to explain. Given that the picture dramatises the breakdown of verbal communication, one might see the tower referring to Babel, but I don’t think too much weight should be placed on this idea. One might dismiss them as placed whimsically, but they do play an essential role in the picture. Both compositionally and thematically, they echo aspects of the figure; grounded and floating, solid and airy, rigid and free. But things happen in paintings that even the painter can’t always control or explain, and often the power of an image has no equivalent in words.